Extensively remodeled home with modern amenities awaits you today!! Come and visit this wonderful move-in ready Spring Mills home!! First floor master bedroom with full bath and walk-in closet, plus entirely new second floor full bath with full tub and subway tile walls with ceramic accents, new appliances, immaculate bamboo flooring throughout the first floor, large first floor great room, you won't want to miss this gem in the heart of Penns Valley. 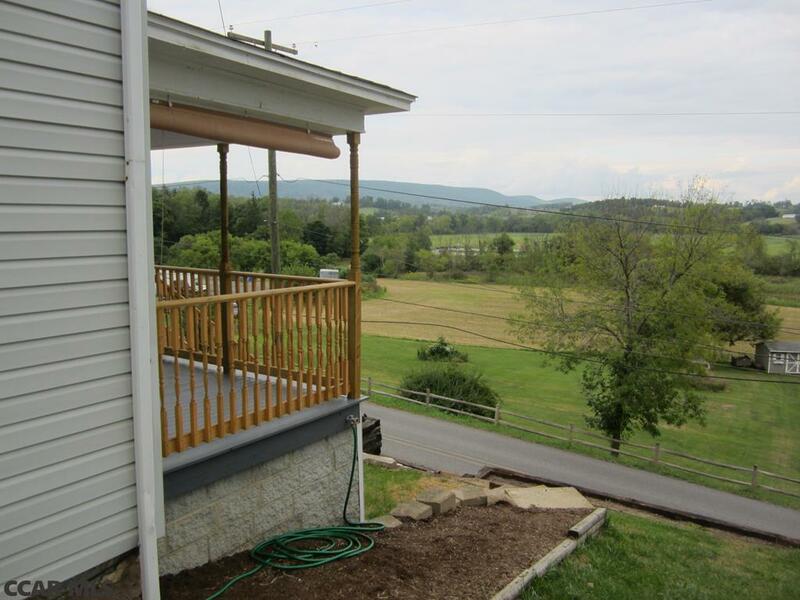 Come and relax on your new porch while enjoying the spectacular views that surround you. This 4 bedroom, 2 bathroom home also boasts an office/bonus room, and room for gardening and entertaining outside with a two-tiered terraced back yard and pond. Seller will provide a $4, 500 credit to the buyer at closing for landscaping & driveway paving.